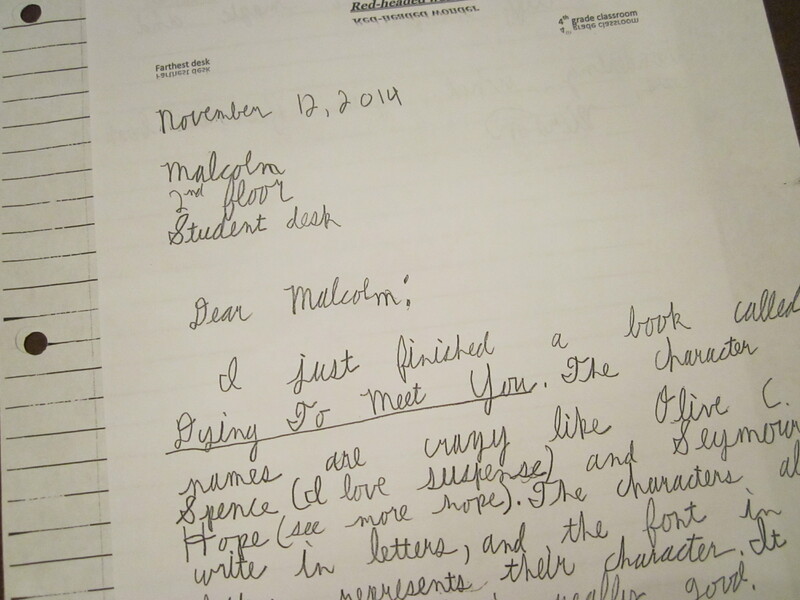 Even though I did not want to do it, I returned to my 4th grade classroom for some final clean up from the school year. 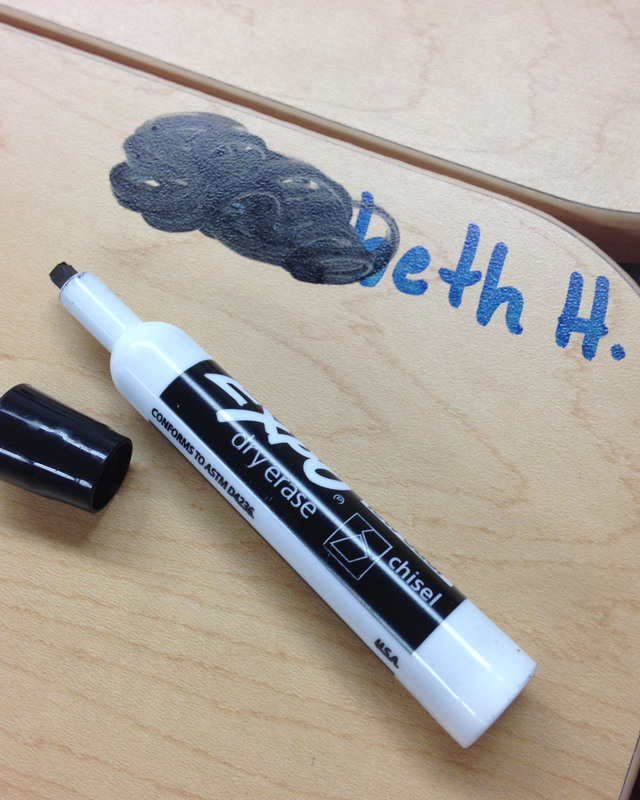 My main objective today was to remove the semi-permanent Sharpie Paint Pen names on the corners of the desks. 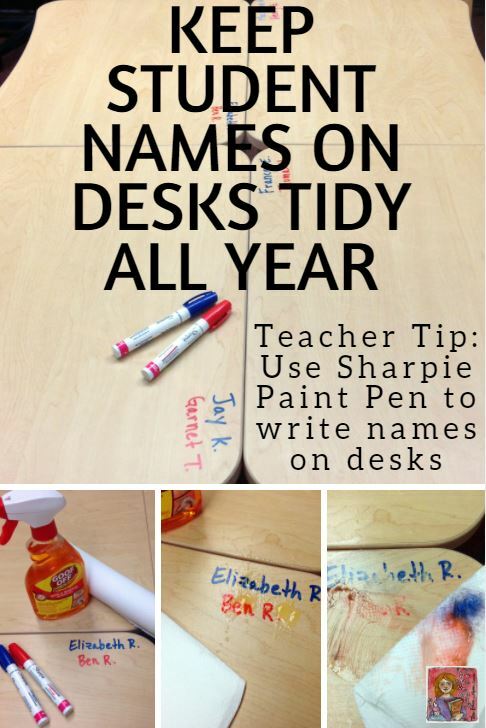 In the past, this has been a little bit of a chore because I use Sharpie Paint Markers, medium point, to write student names on each desk, and it does not wipe off easily. 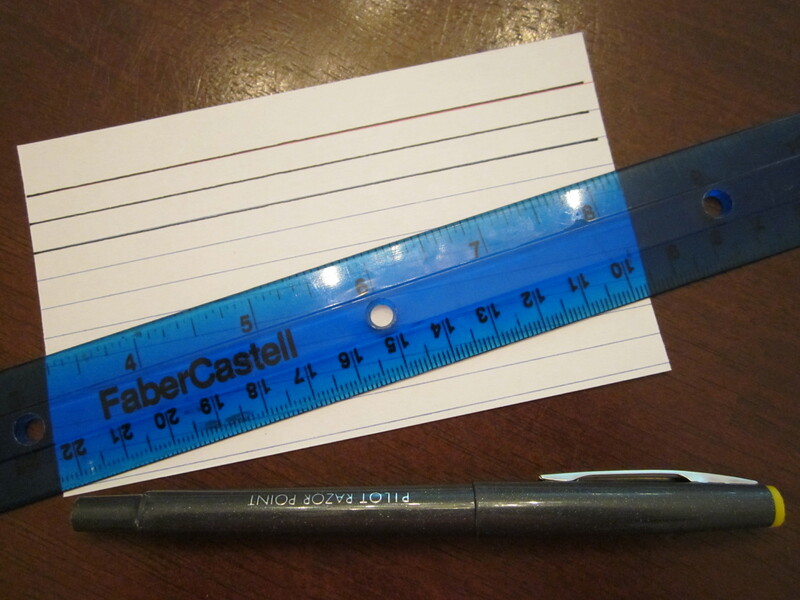 That was the point when I started using the Sharpie Paint Markers– they did not wipe off easily. I was so frustrated with laminated paper name tags that were torn, bent, doodled on, and peeled apart by the third week in August. 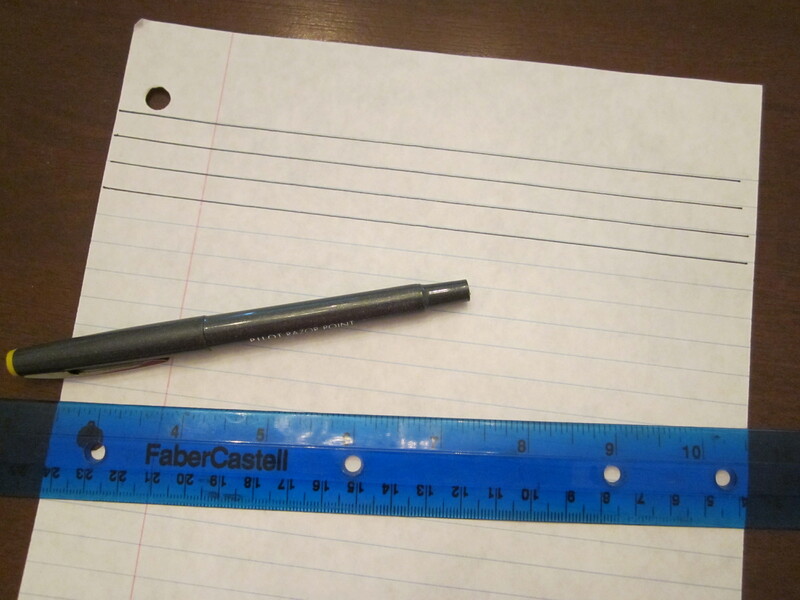 The Sharpie Paint Marker names hold no interest for the students. They can’t wipe them off. They can’t wrinkle or peel them apart. 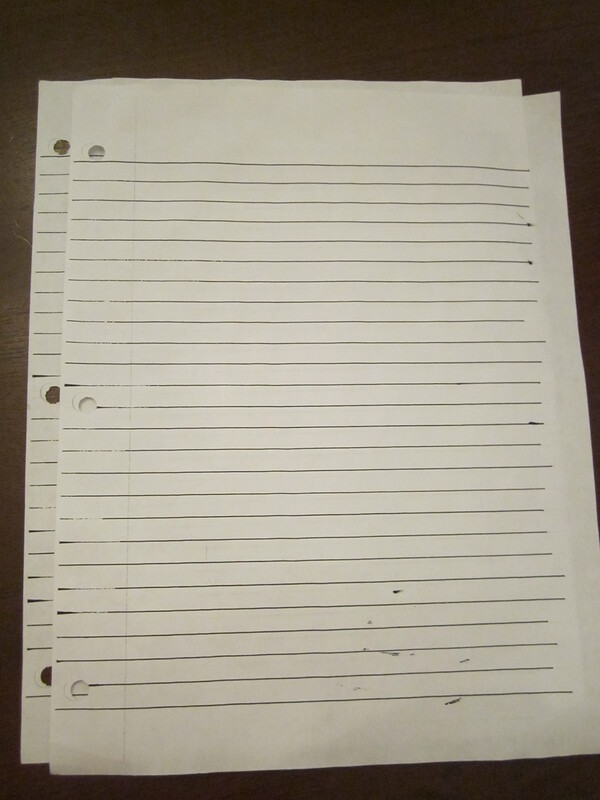 The names are smooth and flush with the desk surface, so students papers don’t rumple, bend, or tear them. They are practically perfect except when you need to remove or change the name. I tried a few paint pen removal methods, and Goof Off really works the best. Unfortunately, you practically asphyxiate yourself by the end of the job because of the fumes. However, TheRoomDad came through on this one (accidentally) because when I sent him to Lowe’s for a new can of basic-original-classic Goof Off, he returned with a spray bottle of Goof Off Adhesive Remover Gel. The smell is not as deadly, and it worked as well as regular Goof Off to get the paint pen off the desks. I have two groups of students who move through my room every day, so I color code my desk names. Blue is one class group; red is the second class group. 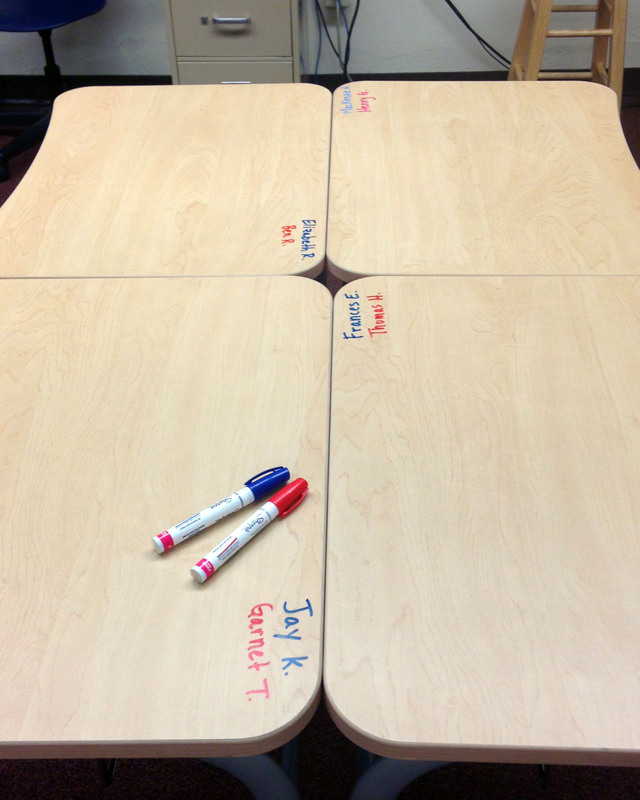 The names are easy to read and stay bright and clear even when I wipe the desks down. 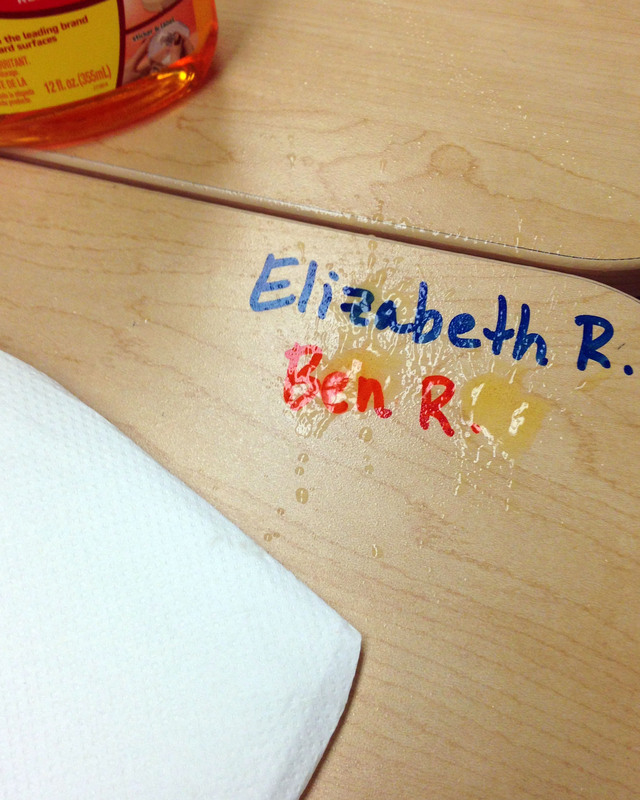 When I do need to change names on the desks, I can wipe one name away or both names using the Goof Off. 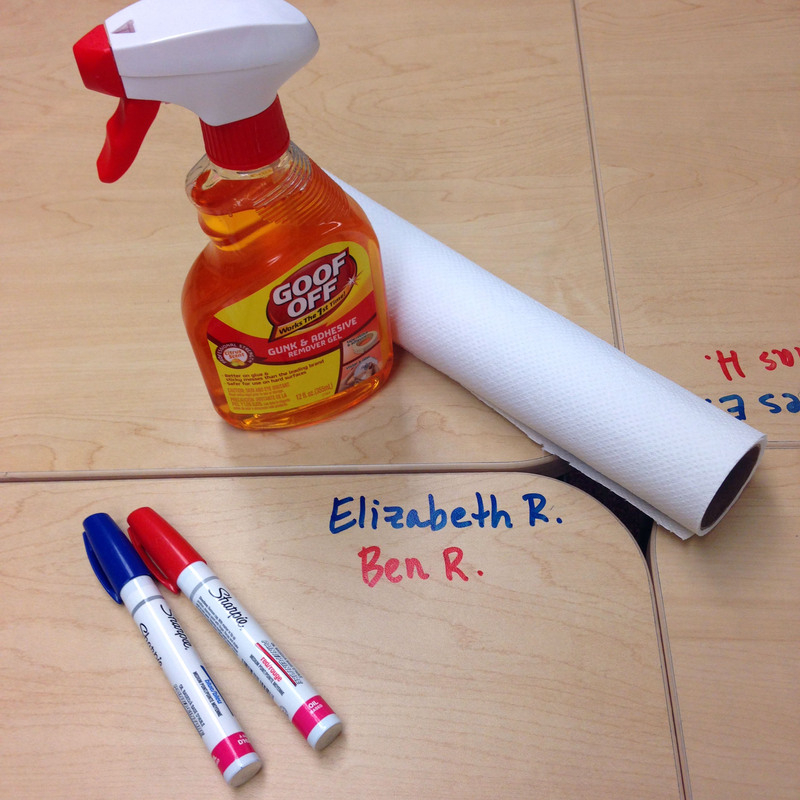 The paint pen names have been a great teacher organizational tool that reduce mess in my classroom. Spray Goof Off Adhesive Remover Gel on dried paint pen and wait a minute. 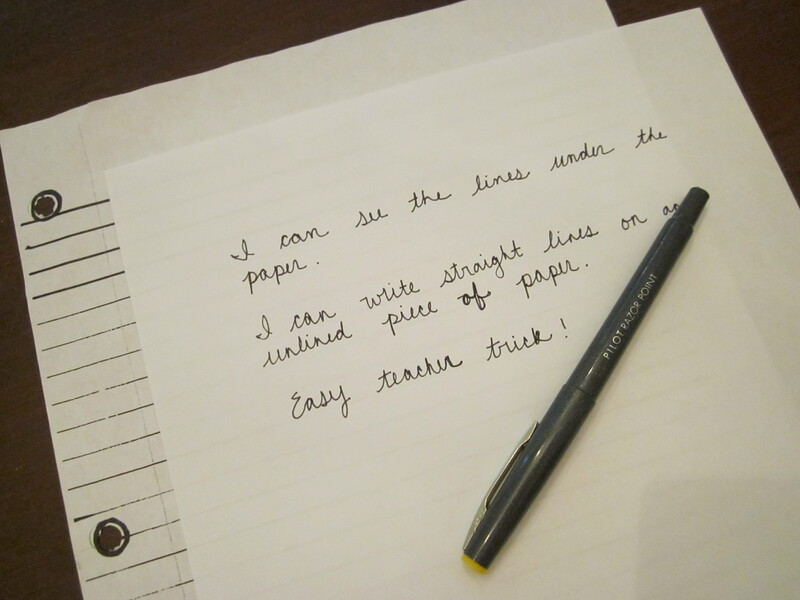 Wipe in circles (scrubbing motion) with a dry paper towel. 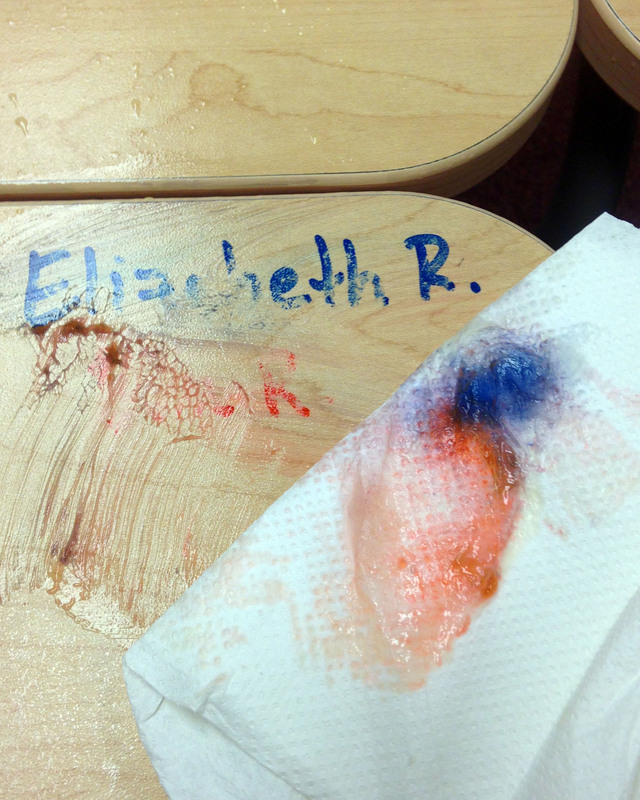 Wipe up the gel off the desk. 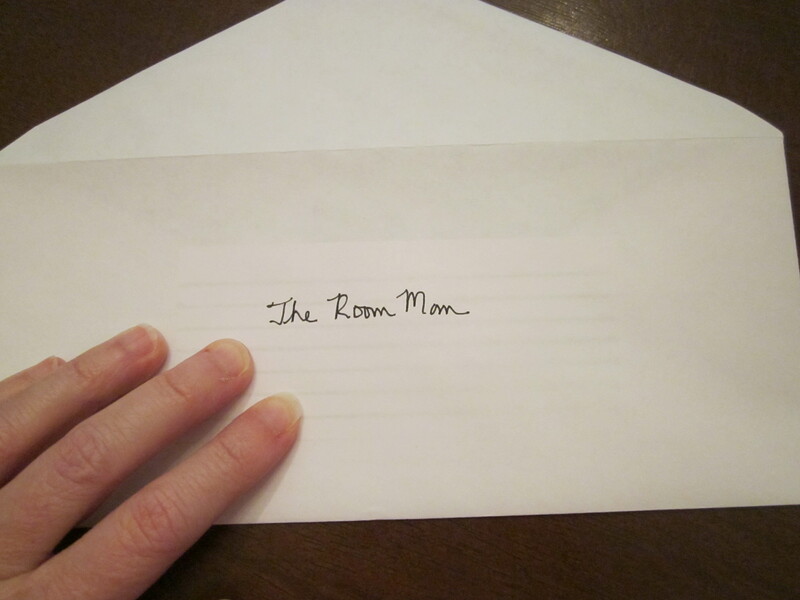 Wipe the entire desk with a Clorox wipe or other cleaning solution (or even a wet paper towel). Scribble over the dried Sharpie paint pen with Expo marker. 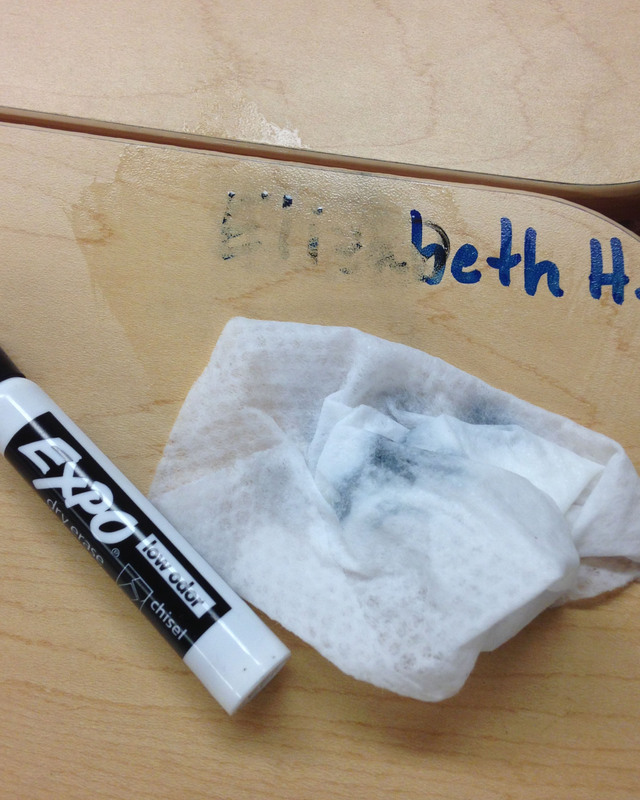 With a damp paper towel or Clorox-type wipe, rub the Expo and Sharpie paint pen away. This method takes longer.